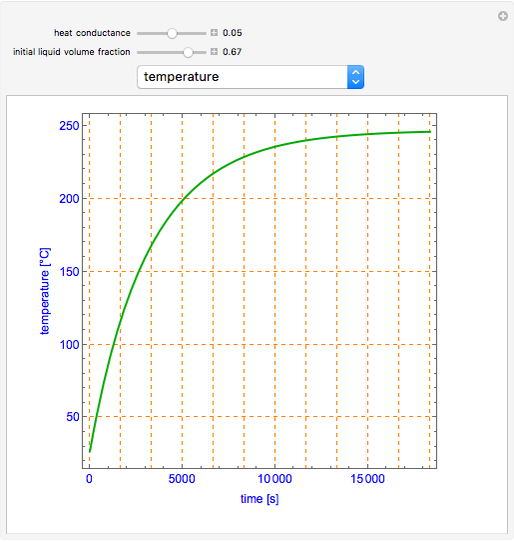 This Demonstration shows what happens to water, initially in liquid-vapor equilibrium at 300 K, if it is heated in a closed vessel with a given volume . 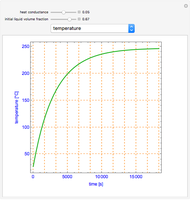 The heating medium is saturated steam at 520 K and the initial liquid volume fraction is . 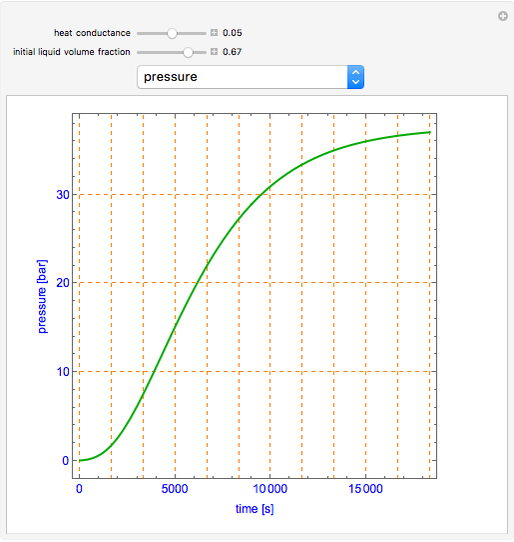 Assuming that the system is always in a vapor-liquid equilibrium, the Demonstration plots the liquid mass, vapor mass, pressure, temperature, and heat input rate versus time. 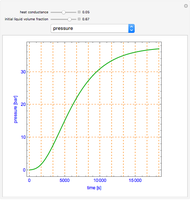 In addition, the dynamic behaviors of the liquid and vapor volumes and the liquid volume fraction are displayed. The latter curve looks peculiar. 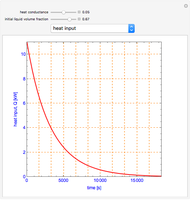 Indeed, depending on the thermodynamic conditions, the liquid volume fraction increases upon heating instead of decreasing. 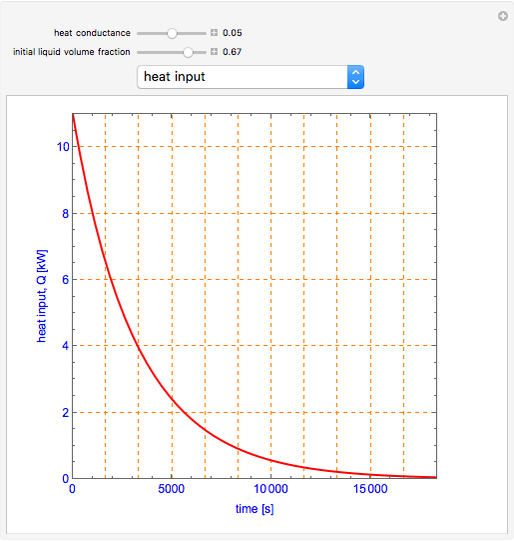 This is the experimental setup. 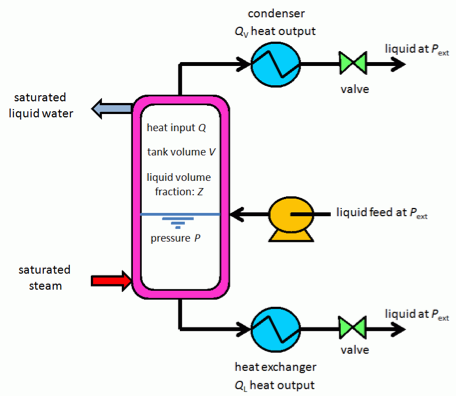 Housam Binous, Ismail Boukholda, and Ahmed Bellagi "Heating Water in a Closed Vessel"